23 April is World Book Day, it is a celebration of reading and encourages children to explore the pleasures of books and reading by providing them with the opportunity to have access to reading books and to possibly own a book of their own. Many children in South Africa who come from rural disadvantaged areas have limited access to reading books or libraries. They are not introduced to the culture of reading at an early age and this is depriving them the opportunity of literacy, creativity and education opportunities. Tania Ham, GTI Regional School Coordinator stated the “Let’s Get Bookie” campaign when she noticed how her grade 8 students struggled to verbalize and articulate in English. “To her understanding, the problem was rooted in the early stages of Foundation Phase. “It is shocking when you find learners in grade 8 still struggling to formulate sentences in English. This predicament reminded me of myself when I was in Grade 8, my English teacher instilled the importance of reading and that’s when I found my love for books, “ said Ham. “I completed my matric at Leap Science and Maths School, in Langa Township and when I graduated from the University of Western Cape with my Post Graduate Certificate in Education I knew at I wanted to move to a province that was struggling with Education. Limpopo and the Eastern Cape are the two underperforming provinces in South Africa when it comes to Education outcomes, it wasn’t a difficult decision to make, that is how I ended up in Jane Furse, Limpopo, “said Ham. 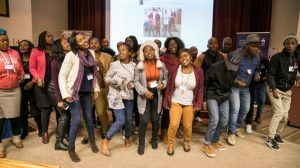 In 2016 Tania was offered an on an opportunity for a month-long residency in an exchange programme that took place in Chicago by the Global Teachers Institute (GTI). She was encouraged to think about the gift that she wanted to bring back to her school and community from the experience abroad. That question was what led Tania to the birth of her “Let’s get Bookie” Campaign. Tania returned to South Africa with over 400 books and has since been determined to grow the campaign. The objective of the campaign is to promote reading by empowering underprivileged young children and to provide under-resourced schools with reading books. 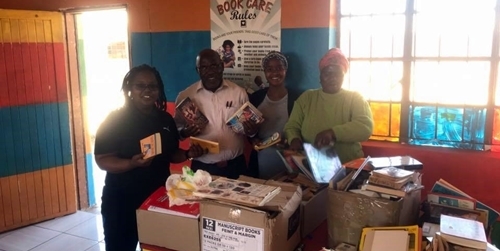 The campaign relies heavily on English book donations for Pre-Primary – Grade 10 learners, the books are distributed to primary schools around Jane Furse, Limpopo. Tania wants to help schools in her community to set up their own libraries and ensure they have enough books. 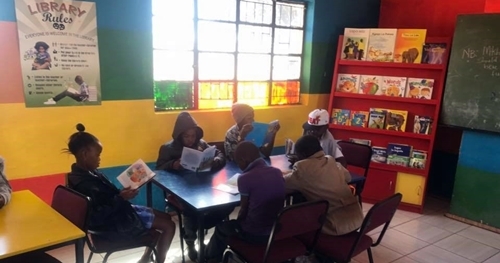 “My wish is to see learners taking initiative and going beyond the walls of the classroom to start their own community reading clubs to help support the community outside of the school,” said Ham.